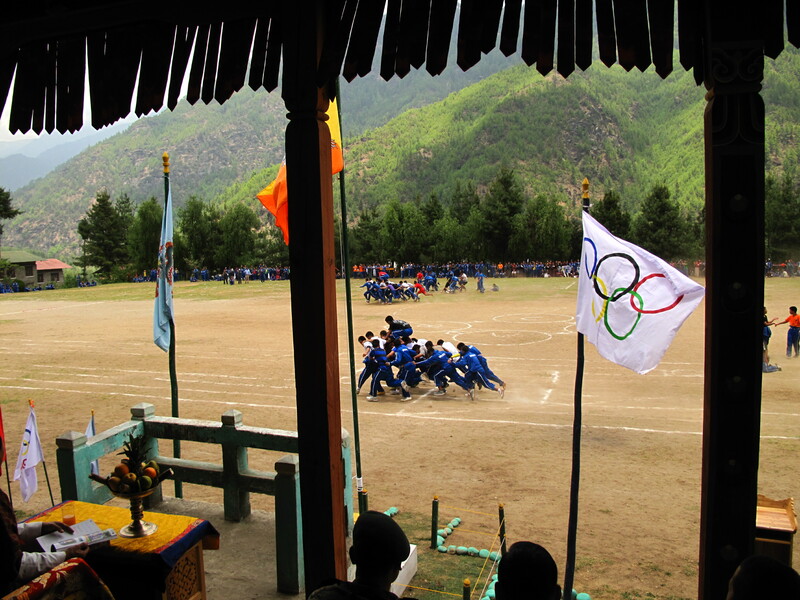 With the Soccer World Cup starting this week, it seems appropriate to write a blog post on sport in Bhutan. 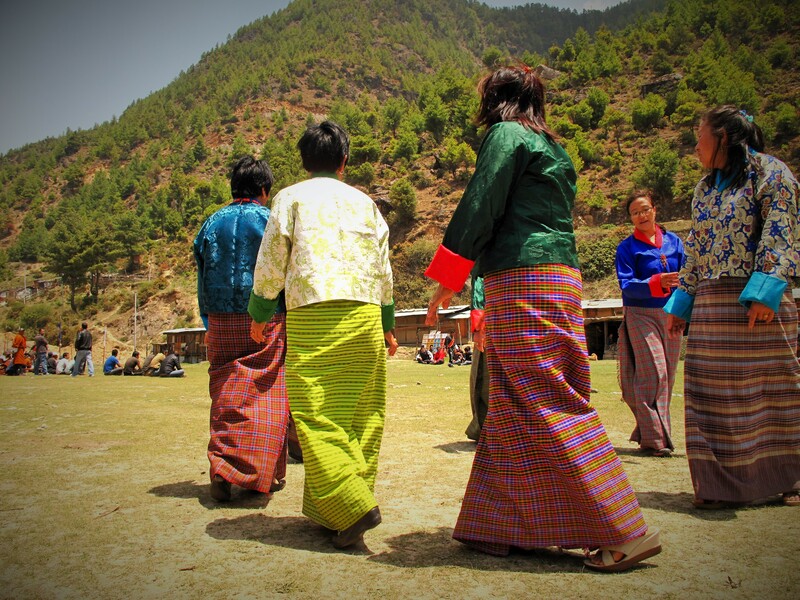 Soccer is certainly one sport the Bhutanese are quite passionate about, as anyone who has seen the charming film “The Cup” or the documentary “The Other Final” would know. 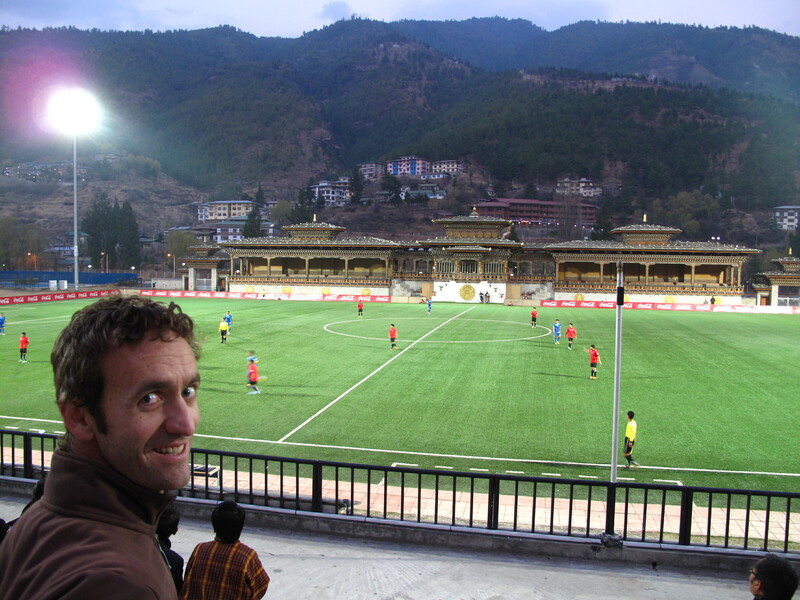 In fact the National football stadium is right in the centre of Thimphu and it’s almost impossible to find a free time slot to have a kick around as it is constantly being used for games. 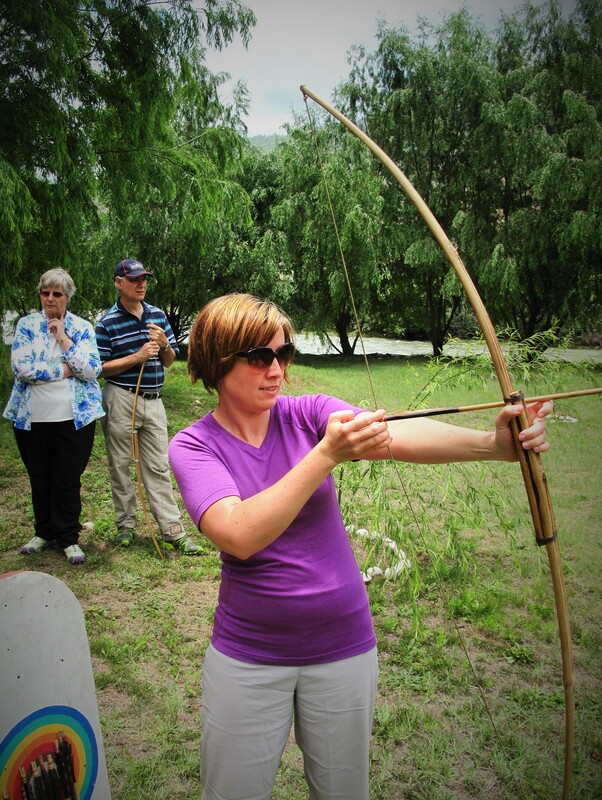 Despite Soccer’s popularity, Archery is the official national sport. 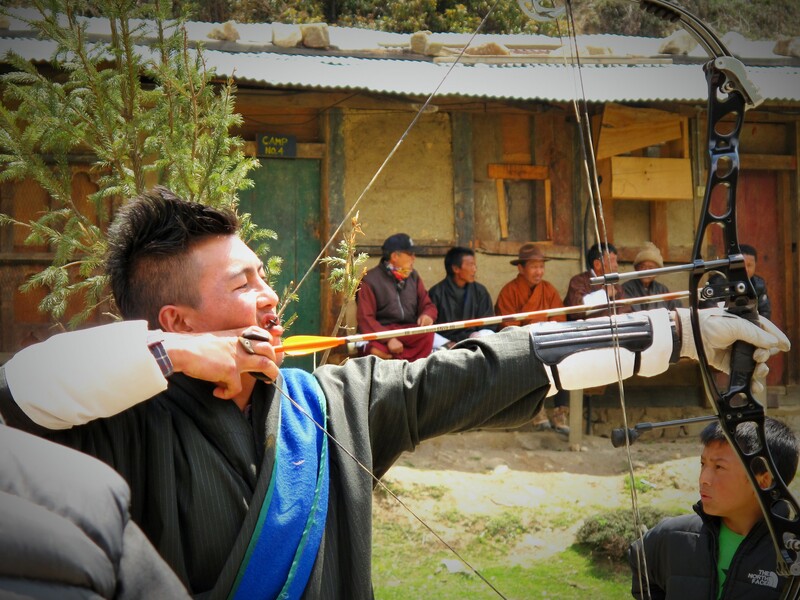 Unlike conventional archery, the Bhutanese make it extra challenging as the target is 140m away. It is played everywhere, and the beauty of archery is it can coexist with other land uses, so it’s not uncommon to see men shooting arrows from one side of a rice paddy to the other. You just have to be careful not to get in the way! 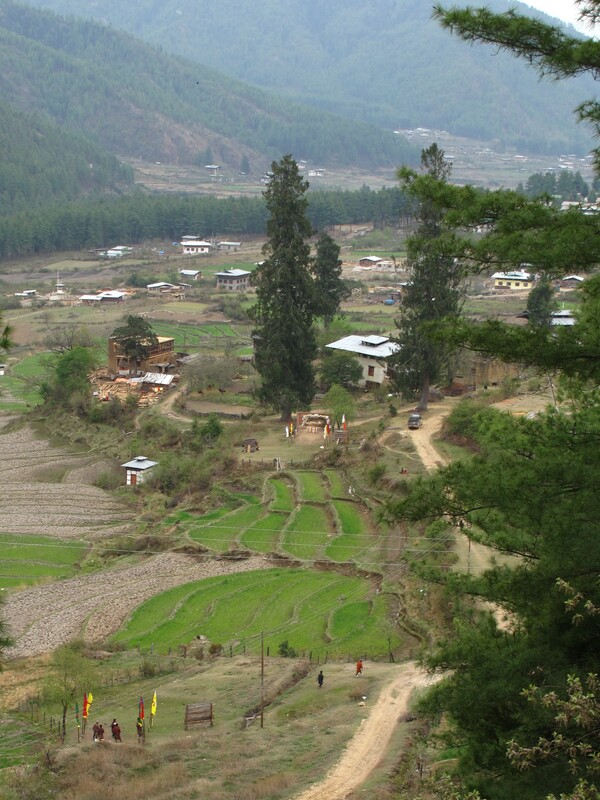 The other popular sport played by men in Bhutan is Khuru, or Darts. 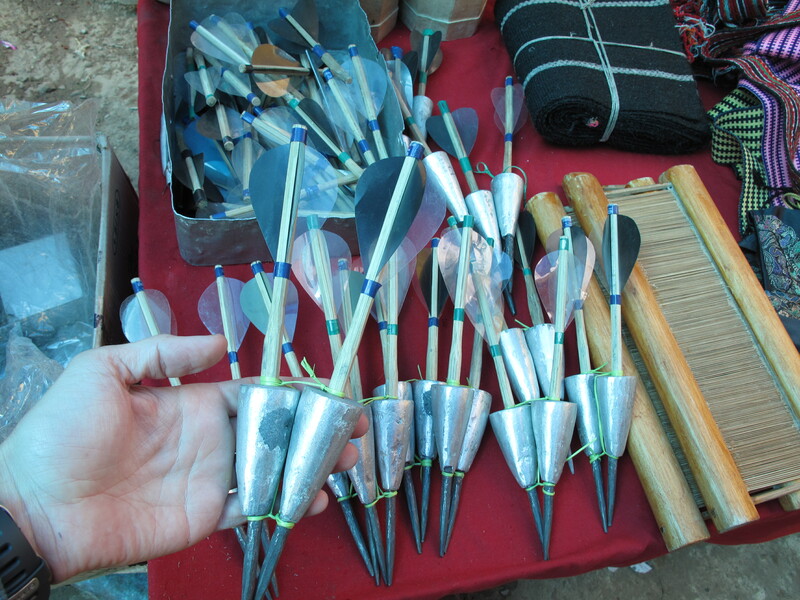 But these are not your average pub darts, these are darts on steroids! Khuru is played outside and players take a run up to launch their fist sized dart towards the target which is 20m away! Characteristic of both Archery and Darts is the rituals that go along with them: a healthy amount of heckling of your opponent, a song and dance each time your team mate hits the target and consumption of ara (the homebrewed rice spirit)! 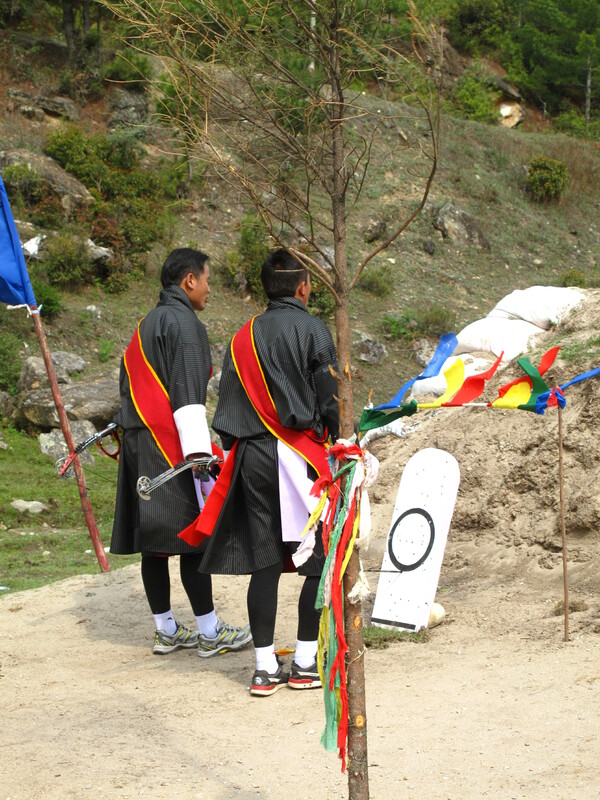 Points are signified by coloured fabric tucked into the belt of the players Gho. Women don’t play these games but a group of dancers dressed in their finest Kira will often provide entertainment during the tournaments, performing traditional songs and dances to one side of the archery field. 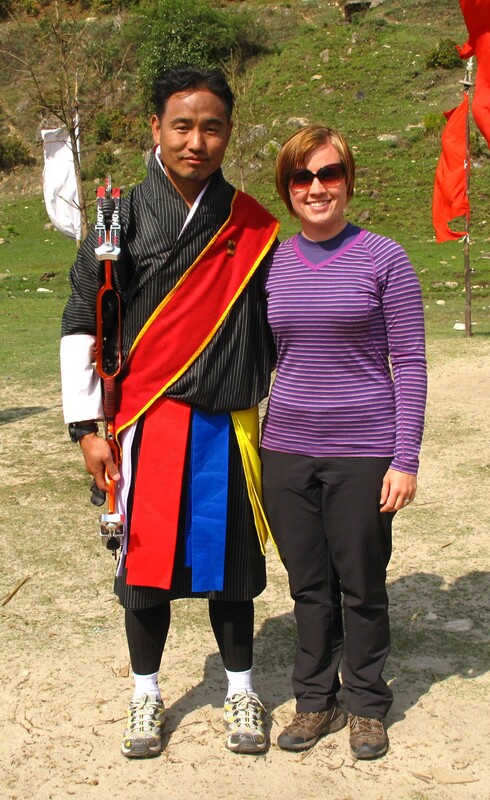 Both Archery and Khuru are derived from hunting in times gone by, but have morphed into recreational sports. Traditionally the bows would have been made of bamboo, but today, the serious competitors play with high tech carbon fibre bows. We recently had an archery lesson, albeit modified to make it easier for us Chillups! The distance of the target was shortened to about 40m and the bow was the traditional bamboo type. Even at this shorter distance it is a lot harder than it looks! But was great fun. 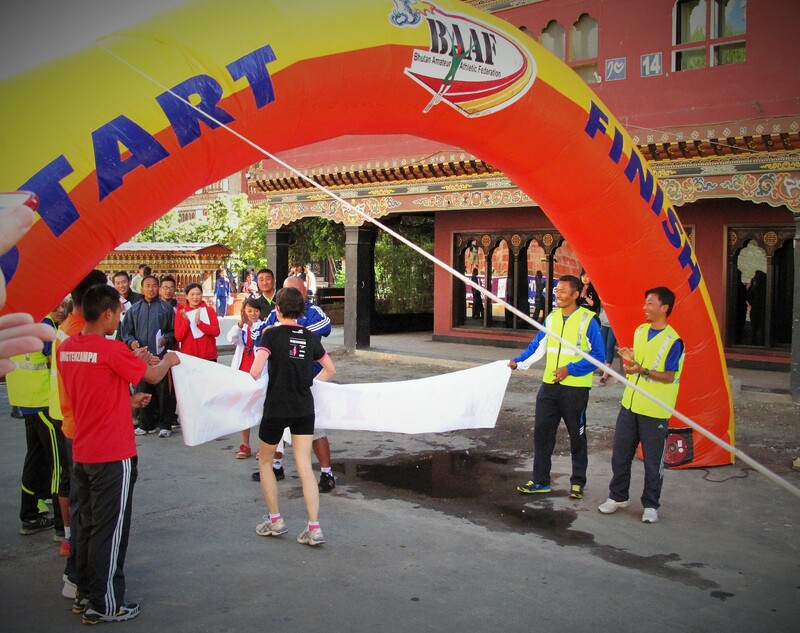 Bhutan also has quite a calendar of running and cycling events throughout the year. 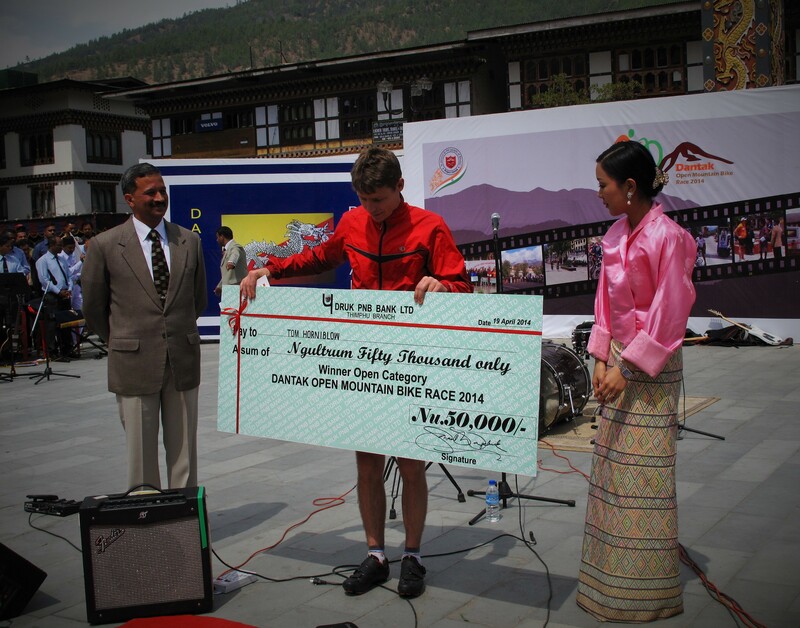 One of the Australian volunteers won the 100km Dantak road cycle race from Thimphu to Paro and back last month and another one recently came 3rd in the annual Coronation half marathon in Thimphu. 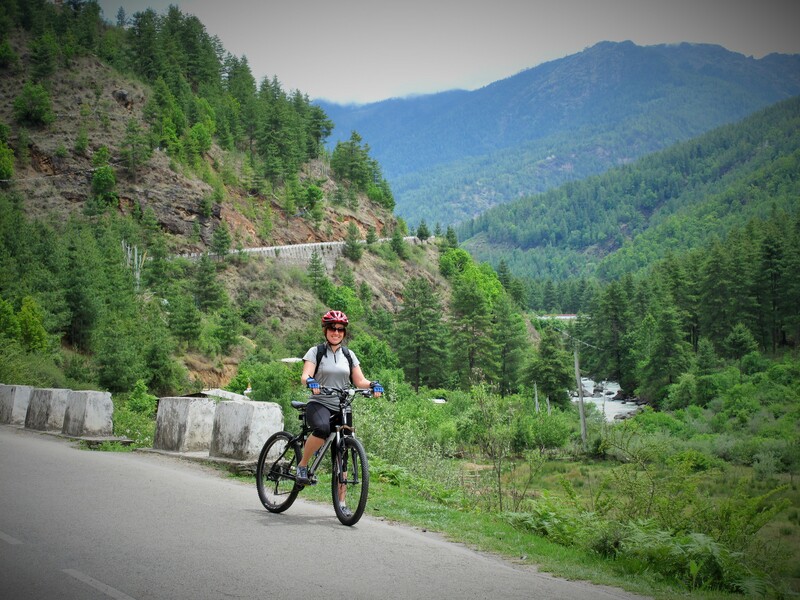 Coming up in September is the Tour of the Dragon, the most gruelling mountain bike race in the world covering 268km in one day over 4 high mountain passes! 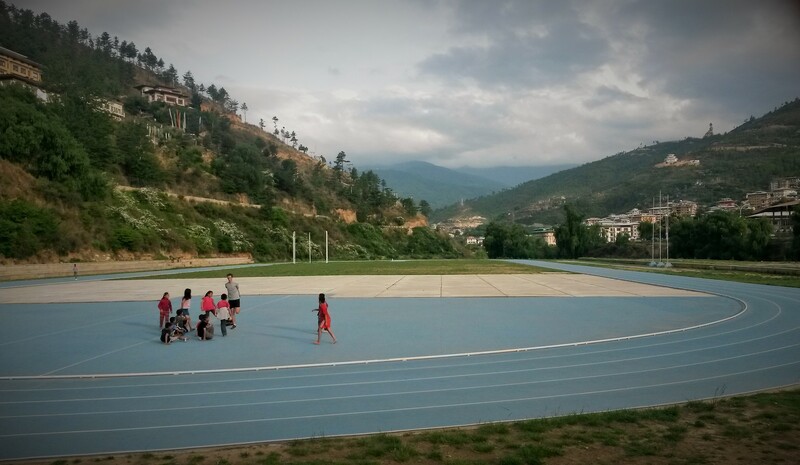 We have been making use of the public running track in Thimphu on a rare bit of flat land down by the river. With the mountains surrounding all sides, the river flowing past and Big Buddha looking over us, it has to be one of the most scenically located running tracks in the world! The younger generation is obviously keen on sport too. 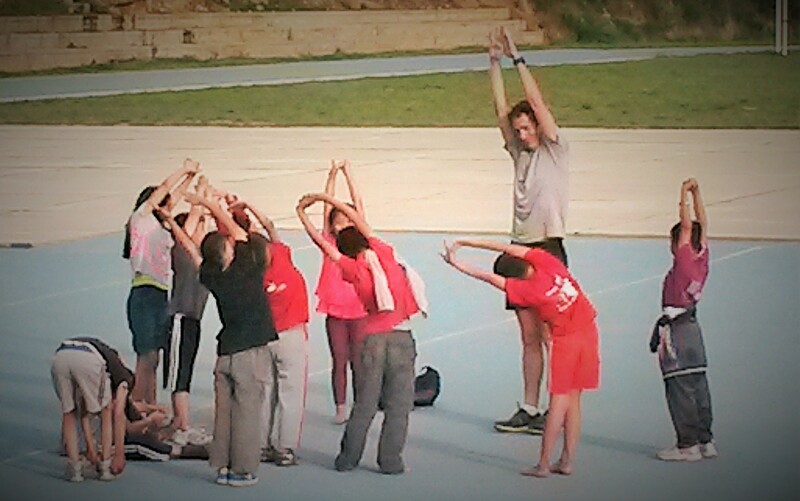 One evening recently a group of kids started mimicking Jordi as he did his stretches and did a good job of keeping up with us as we ran a few laps. I was fortunate enough to attend a school sports carnival a few weeks back and was very impressed by some of the more unusual sporting events on the schedule. One was what they called the Chariot race, which involves a team of students running in a pack with one of the students held aloft on their backs. 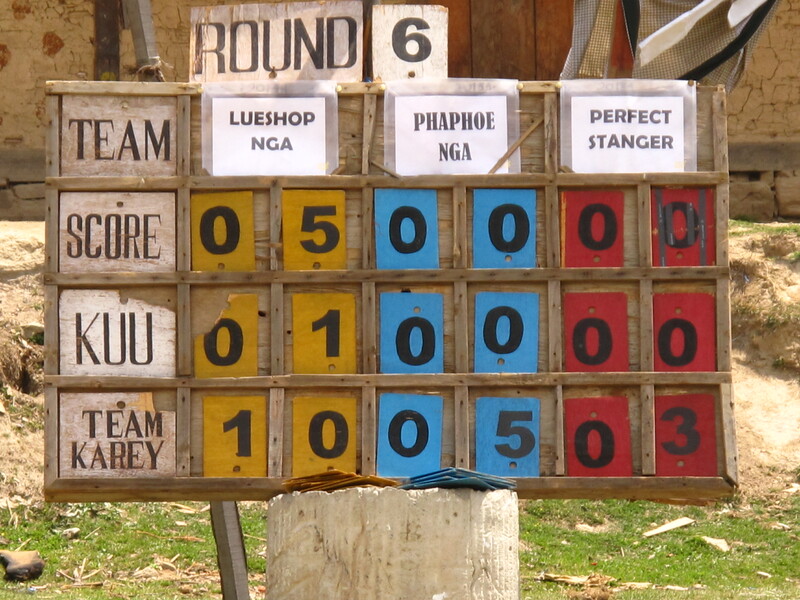 Most of the teams came crashing down at some point between the start and finish line! I can’t imagine this activity passing any type of risk assessment in Australian schools! The other impressive event was called the Pyramid. But this was no ordinary human pyramid. These were 10 minute choreographed performances to music with costumes built around a topical theme (and somewhere in the midst of it they had to create a human pyramid). 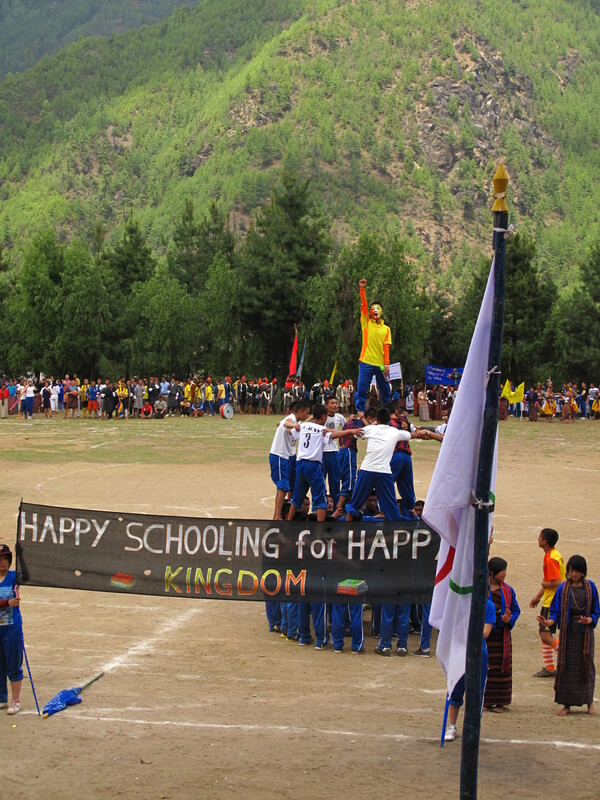 Themes included corruption, waste management, happiness and cultural preservation. It took me back to my high school Rock Eisteddfod days! Now we both have bikes, we’re also keen to get out on more rides at weekends. The weather at the moment is perfect for riding. We have to make the most of it though before the monsoon season sets in, which is due to start any week now. 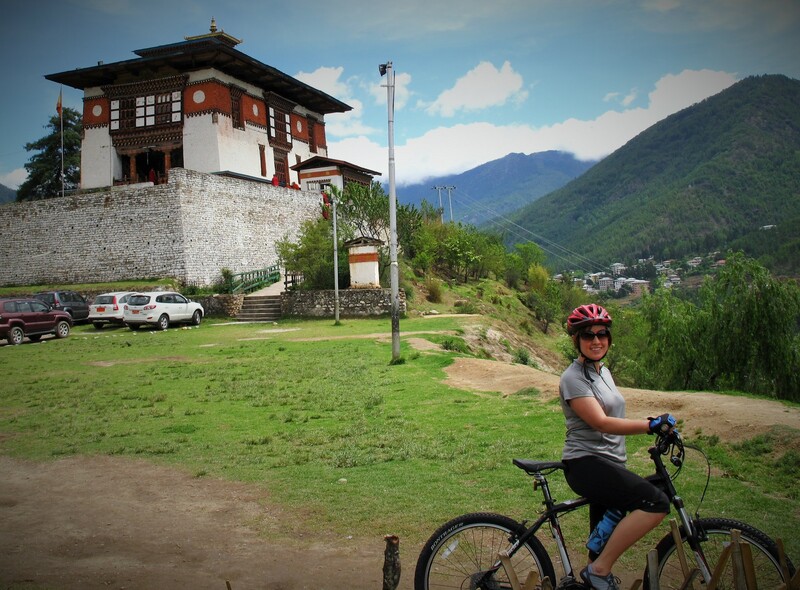 This Post was tagged archery, archery tournament, cycling, darts, Khuru, mountain biking, running, sport in Bhutan, Thimphu running track. Bookmark the permalink.